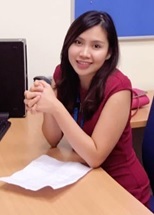 Vuong Thao Tran is a Lecturer in Finance at the School of Business, Monash University Malaysia. She has published in numerous internationally refereed journals including Pacific-Basin Finance Journal, International Review of Financial Analysis and Accounting and Finance. Her research interest is in Asset Pricing, Banking and Corporate Finance. Tran, V. T., Nguyen, H., & Lin, C. T. (2015). Herding behaviour in the Australian loan market and its impact on bank loan quality. Accounting & Finance (Ranking=A). Tran, V. T., Lin, C. T., & Nguyen, H. (2016). Liquidity creation, regulatory capital, and bank profitability. International Review of Financial Analysis, 48, 98-109 (Ranking=A). Narayan, P., Narayan, S., Phan, D., Thuraisamy, K., Tran, V., (2017) Credit quality implied momentum profits for Islamic stocks, Pacific-Basin Finance Journal, Volume 42, Pages 11-23 (Ranking A). Authorised by: Marketing and Future Students. Maintained by: Monash University Malaysia Webmaster Team. Last updated: 15 Oct 2018.